"My hair will strike fear into my enemies!" Nominees: "Awakenings" "Ghost" "The Godfather Part III" "Goodfellas"
This is an unusual year of films for me in that I have actually seen all of the nominees, although most of them I haven't seen in a long time. So for starters I will analyze the list of nominees a bit. Looking over the list I don't know how on earth Ghost was nominated? That was an awful film that was just a showpiece for Patrick Swayze and nothing else, boring boring romantic boring movie. Awakenings was a fantastic film, and though probably not best picture quality it was great, and Robert DeNiro certainly deserved the win for best actor for that (as opposed to Costner) especially contrasting his usual mob role a la Goodfellas. Speaking of Goodfellas, how did Scorsese get pushed aside for best director? Well at least this was rectified when he finally won for The Departed although that is another story and another movie that will make it on the blog in due time as it won for Best Picture, although I am not sure why, it wasn't that good. Goodfellas was an excellent movie portraying the mob life in what seemed like a very real way. The violence can be a bit hard to take at times, but the story, acting, and directing were top notch. Frankly I think it was the violence that held it from winning, it seems the Academy tends to frown upon ultra-violent movies as winners, although this has started to change in the past few years. Then there is Godfather Part III, a terrible awful sequel that makes no sense at all even after watching it several times. I am a huge mob movie fan and thus a huge Godfather fan, parts I and II are excellent, well filmed, written, acted, etc and it shows in how they won a lot of awards, but part III? It was the complete opposite and just overall bad. Frankly I don't even know how Ghost, Godfather III and Dances with Wolves were even nominated. So in my mind and personal opinion I would rank that year's nominees as Goodfellas, Awakenings, Dances with Wolves, Godfather Part III, and last and least Ghost. I don't see how Dances with Wolves was nominated nevermind winning? But this is where we are at. It won, so we watched it. This has been on our list for the past five months or so, but we didn't get to it due to moving, life, babies, and mainly the fact that neither of us wanted to watch it again, remembering how boring and awful it was. I will say that I was much more interested in it this time around it still falls far short of being a good movie let alone an Oscar winner. While I can certainly appreciate this movie a lot more now than when I saw it so many times as a 10, 11, and 12 year old (since my mother loved it and watched it at every chance and having one tv back then meant we all watched whatever happened to be on) I don't see why it would be a Best Picture movie. It is long, boring, and not much happens throughout. The best it does is portray Native Americans in a more realistic light than had been done previously, albeit with some stereotypes still present, and for that it is commended for its effort. However, it really lacks a story, and without that it falls flat. 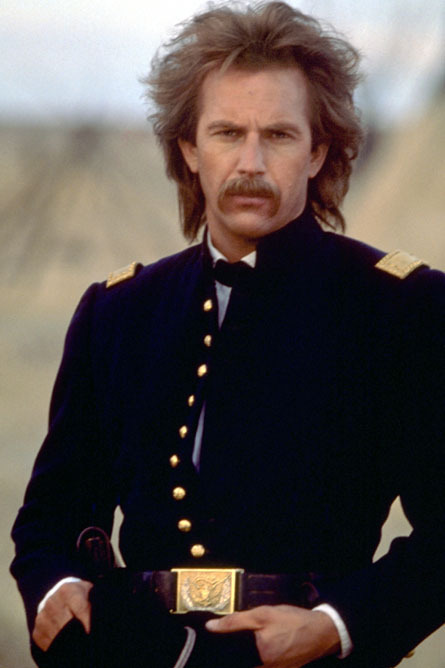 So for those who were hiding under rocks for the past twenty years, Dances with Wolves is basically about a US Army soldier fighting in the civil war who is transferred by his own request to a remote post in the mid-west. He finds the post to be abandoned and then we enter into Dances with Wolves meets Castaway for a fair portion of the movie. He befriends a wolf and then finds the natives. Over the course of the movie he meets the natives and becomes one of their own and eventually leaves his post entirely to join them. He discovers how different the natives are compared to what he was always told, they aren't brutish savages, but friendly giving wonderful people. He falls in love, encounters the US Army again after basically becoming a member of the native group. A couple somewhat violent fights ensure between different native groups as well as when the natives try to rescue Costner from the US Army when he is listed as a traitor. If that all sounds entertaining, then good on you, but I found it immensely boring. As my partner in crime mentioned, yes the movie is filmed and shot well with really nice cinematography, and it does have decent to good acting, but that is not enough to save it. Mary Mcdonnell should be called cavewoman and not Stands with a Fist with that huge 80s hair. And speaking of hair, since when do civil war soldiers sport mullets? I guess since Kevin was in charge of everything, he wasn't willing to change his star appearance. What's up with that? It is these small things that make one question other things in the film, if they can't do something as simple as have proper hair then am I to believe everything else in the film? This is one of the first movies to really portray Native Americans as they are and were and not as they are stereotyped to be, and I really do think that is one of the primary reasons for it winning best picture. It's not that it is a bad movie, it just isn't anything special if you take that out of it. If this movie was made now then there wouldn't be as much hoopla surrounding it. I might be wrong, but that's how I see it. On a final note as I was watching the movie I got to thinking about Graham Greene and how he seems to have transcended his native heritage as an actor and has really just become a good actor. What I mean is that we often see native actors that get stuck playing only native characters. Graham Greene, on the other hand started out that way, but at some point he started playing male characters, and his race and ethnicity didn't seem matter at all. This is a really good story and it would be great if actors of all races could do the same and fill roles that aren't a specific race. At this point in the 21 century it is rather sad how far behind we still are in race relations, hopefully things will change quicker for the better. With that I would say the Academy was very very wrong this year. Next up: A Man for All Seasons...whaaat? Never heard of that one, looking at the short synopsis it is about King Henry VIII wanting to be able to divorce and remarry, wow this one sounds awful, hopefully it is a nice surprise. She Said: Dances with Greatness (emphasis on the dances). The problem is nothing happens. There's no conflict. The characters don't change. John Dunbar starts curious and sympathetic about the "Indians", and he ends less curious and even more sympathetic. He doesn't move from hatred to acceptance... or really anywhere. In turn, the Indians seem to share the same feelings for him. Nice to see more positive portrayals of Native people, but still very stereotypical, even for a period piece. The bad guys remain bad guys throughout, and then Dunbar and his white/Native wife ride off into the very beautifully shot sunset. Which brings me to another point: we know from the existence of the Metis people that White men took Native brides all the time. So why does his love interest have to be a white woman? But not a "real" white woman, of course, because that wouldn't serve the plot, but one who has been raised by the Native tribe, and is thus culturally "Indian"? Wouldn't it have made a stronger statement to have him fall in love with an actual Native woman? Or maybe they didn't want to be that political. Having never read the book, I can't say if they "whitened" the plot for the movie, but it sure seems like it.